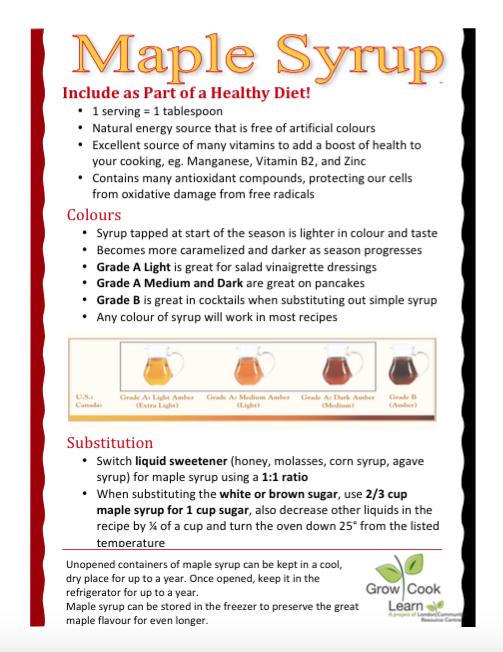 Information on Maple Syrup, our featured food/natural sweetener at our upcoming Grow Cook Learn session! Unopened containers of maple syrup can be kept in a cool, dry place for up to a year. Once opened, keep it in the refrigerator for up to a year. 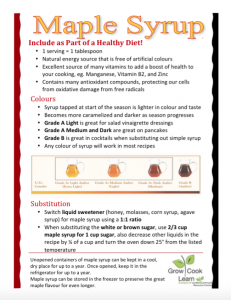 Maple syrup can be stored in the freezer to preserve the great maple flavour for even longer.